I would love to have a funny, interesting, intriguing or out of this world story to tell but, I do not. I don’t leave the house much any more since I’m a stay at home wife therefore, I don’t go on or see many adventures or have mishaps to tell about or share. how I had a volcanic explosion in the store…. some of it verbally rest body language style!! I was ready to go Rambo on somebody!! 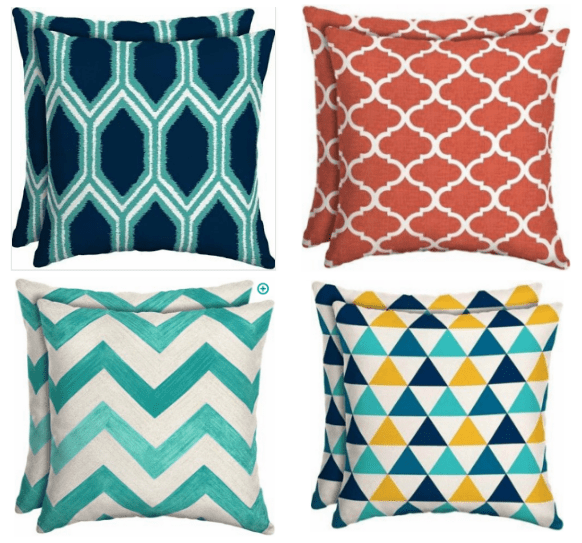 I have the turquoise/white chevron pattern cushions and the orange and white morocco pattern cushions which I purchased from Wal Mart for $5.00 each. These two exact pillows were at this shop for $16.00 each!! I just about fell out in the floor!! I have this whimsical cow picture I purchased from the Dollar General Store for $8.00 – it was at the shop for $29.00 – again, I had to grab onto something before making a spectacle of myself. I was stunned, shocked! Standing there shaking my head in wonderment I decided it was time to leave. I named my cow pic Marge – I came home and announced to her that she was going for $30 bucks at the antique shop or $32.00 on ebay!! Marge was in shock as well, speechless! 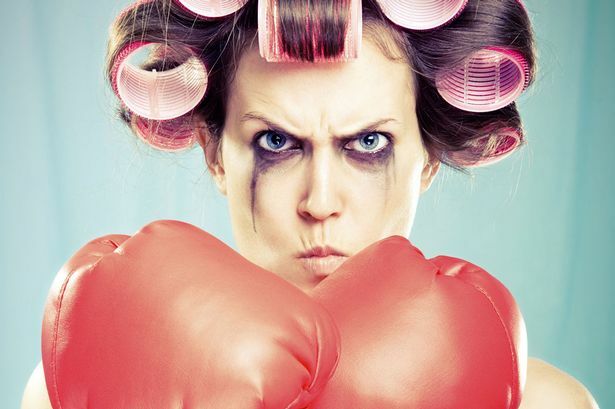 I will be contented shopping in the common stores unless I am overcome by hormones and get kicked out!!! Have a wonderful no worries or care, hormonal explosion free, smiling like a monkey with a new banana day! July 24, 2017 in Thinking Out Loud. Hahaha OMG that’s twice you’ve made me laugh out loud today! We are currently remodeling our kitchen to farmhouse style and she will be a permanent feature! I couldn’t put out to pasture or moooove her on to somebody else, I’ve already named her and talk to her!! I love this! It reminds me of a contest my boss and I used to have. I’d walk into the office and tell her: 5 bucks for the shirt, 8 bucks for the pants and 12 dollars for the jacket. Total outfit, $25. Then she would announce “2 dollars for the shirt, 3.50 for the pants and 6 dollars for the sweater. Total outfit $11.50! She loved to shop at Good Will. Once in a while, I would beat her, but not often. We were making fantastic salaries, so that wasn’t the reason why. It was the sport of the thing. It’s always nice to shop local, but if it means paying three times (or more) as much, who wouldn’t take the bargain? Too funny! What a great story to read to end my Monday off well 🙂 I thought your purchases were great, btw; love the colours. Thanks for the smile!